Home / Insurance Center / How to get the Cheapest Insurance Rates? Most insurers will give you the option to bundle certain types of insurance coverage. This means that insurers will usually offer you discounts if you purchase different types of coverage from them. These discounts usually range from 5% to 20%. Typically, these include auto and homeowner’s insurance, as well as other umbrella policies. Nevertheless, consumers shouldn’t assume that pooling all your policies under “one roof” will give you a cheaper option. It’s still a good idea to shop around and compare different insurance rates. You might find better deals with different providers. Moreover, you can reduce your premiums by a lot if you set a higher deductible. This, of course, depends on your personal financial situation and how much you are able to share. Your insurance agent will be able to help you to look at the numbers, and figure out if raising your deductible will have an impact on your premiums, but you might be able to reduce your premiums by up to 30% if you increase your deductible. Although it is a heavily criticized factor, your credit score impacts your overall premium. Insurance companies argue that there is a statistical correlation between credit scores and filing a claim. This is heavily contested, and some states have implemented laws to limit insurance companies from setting rates based on credit scored. Nevertheless, your best bet is to maintain good credit by paying your bills on time, and paying off your balance. Check your credit scores annually to ensure that they are correct. An informed consumer is the best type of consumer, that’s why you should check your rates before you decide to buy. A luxurious sports car may be impressive, but annual premiums are much more likely to be higher than a sport-utility car. Likewise, houses near water may result in much higher insurance rates than suburban homes. Lastly, remember that an informed consumer is the best type of consumer. Only if you are aware of different rates, can you make a better decision on the type of insurance you need. You may think that your credit score has nothing to do with your driving habits, or the likelihood your house will burn down. Insurance companies disagree. They say that there’s a statistical correlation between credit scores and the likelihood someone will file an insurance claim. Consequently, drivers and homeowners with low scores often pay higher premiums than those with pristine credit. Consumer groups have criticized this practice, arguing that it discriminates against minorities and low-income consumers. A few states have enacted legislation that limits insurers’ ability to use credit scores to set rates. Minivans and small and midsize sport-utility vehicles have the lowest insurance rates, while sports cars and convertibles cost the most to insure. Since insurance can add significantly to the cost of owning a vehicle, check with your insurer before you go to the dealer’s showroom. Consumer Reports recommends asking your car dealer to show you the “Relative Collision Insurance Cost Information Booklet,” produced annually by the National Highway Traffic Safety Administration. Likewise, consumers should take the cost of insurance into account when they’re shopping for a home. You may pay lower homeowners insurance premiums for a new home than for the charming 1920s bungalow on the other side of the street. Have you always dreamed of owning a home near the water? Check insurance rates before you buy that beach house. You probably know that a safe driving record will get you a lower auto insurance rate. But did you know you can also get a lower rate by taking the bus to work? 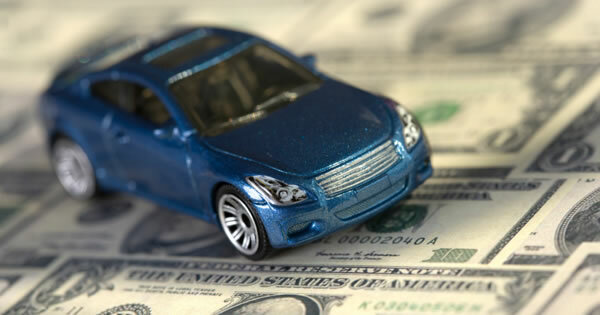 Many insurers offer a low-mileage discount for policyholders who drive below an annual threshold, typically 5,000 to 8,000 miles a year, Danise says. Most states require insurers to give a discount to drivers 55 or older who complete a defensive driving course, and a few require insurers to give a discount to anyone who completes such a course. You may also qualify for a discount if your car contains certain safety features, such as a car alarm. Discounts can also reduce the cost of adding a teenage driver to your policy. Many insurers offer better rates for teenagers who have good grades. Others will lower your rate if you agree to install a monitoring device that tracks your child’s driving habits, Danise says. Homeowners can lower their rate by installing burglar alarms and smoke detectors. Installing a sophisticated home-security system could lower your rate by up to 20%, according to Insure.com. Some insurers provide discounts to older homeowners, Danise says. The reasoning: Retirees are home during the day, so their homes are less likely to be burglarized or damaged by fire.